Not speaking Spanish, nor being able to read in any language, makes general healthcare information inaccessible to more than 95% of rural Q’eqchi’ women. An average of two years’ education, and access only to radio, means health and hygiene awareness falls dangerously short. 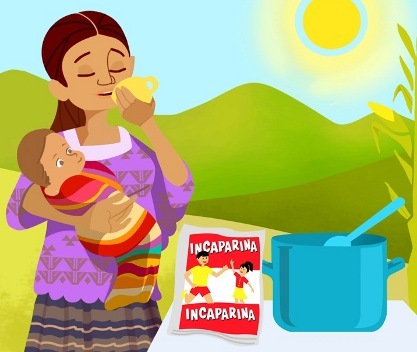 Narú provides health education through the use of animated and culturally-appropriate bi-lingual films, with themes including childcare, nutrition and family planning. Apart from being integral to the nutrition programmes, the films are designed to be shown in health centre waiting rooms and translated into other Mayan languages.